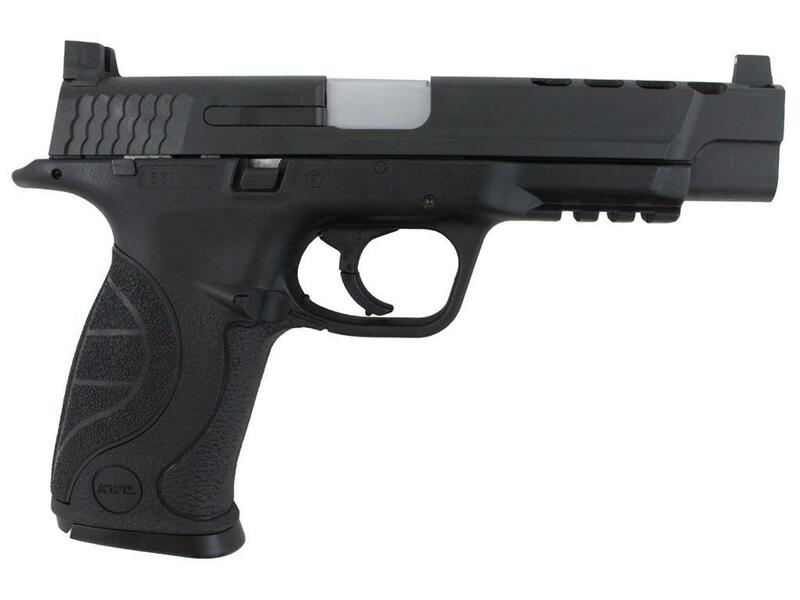 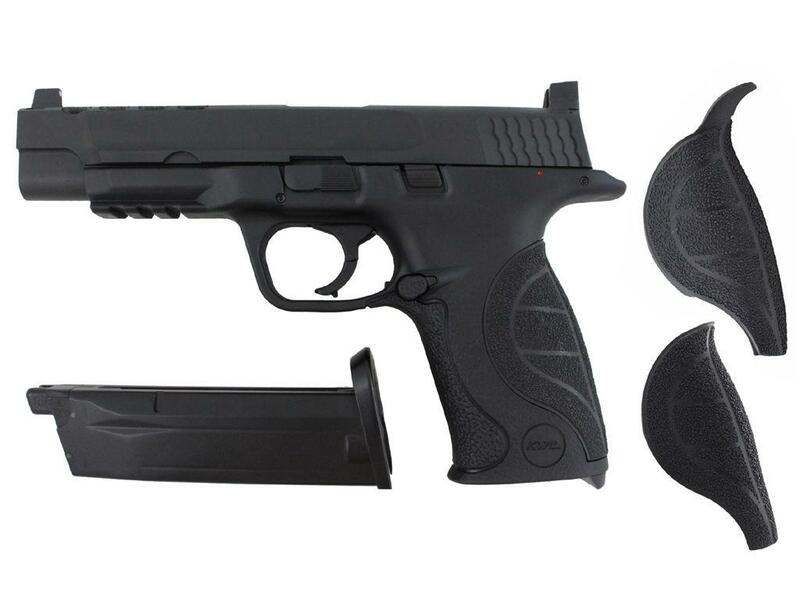 M&P 40 Extended Barrel Airsoft Pistol | Replicaairguns.ca | Easter Weekend Sale! 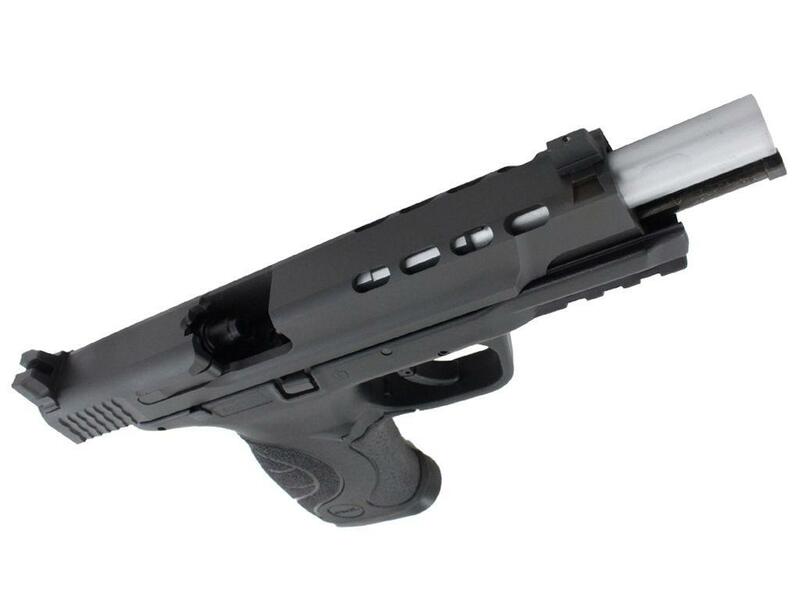 Comments: This latest KWC M&P 40 airsoft replica is based on Smith & Wesson’s Ported Performance Centre pistol series, engineered for competitive shooters. 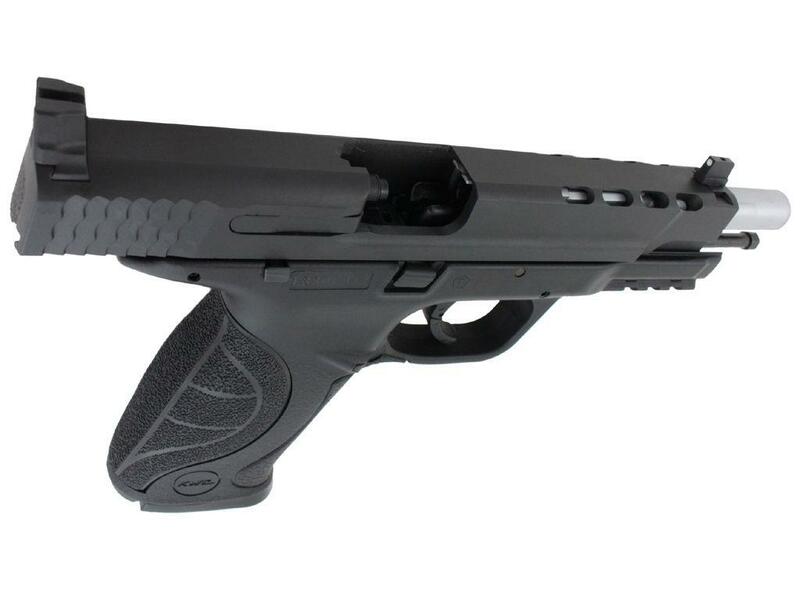 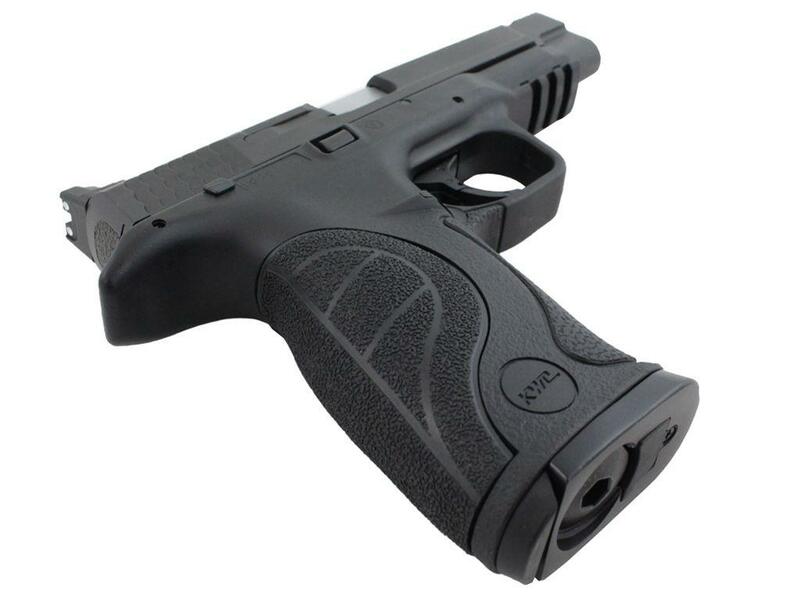 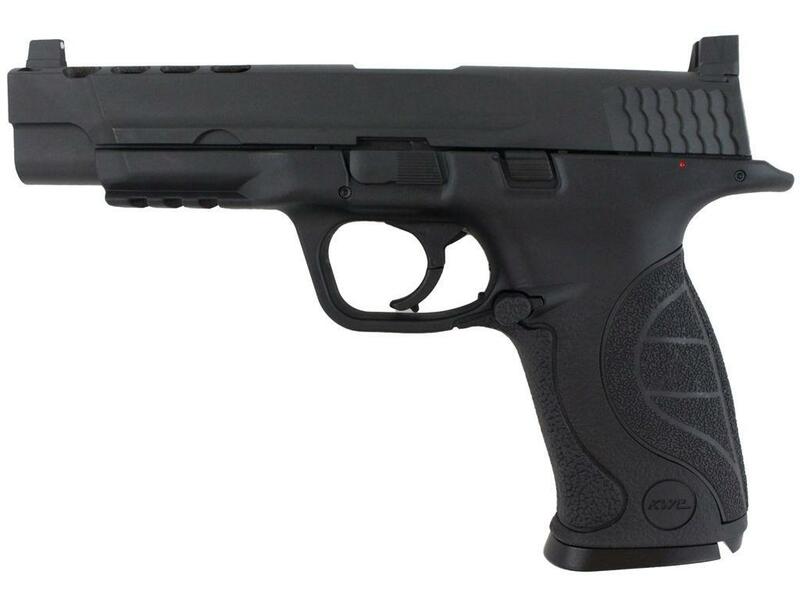 This pistol has several improved features over the previous M&P models, including an extended ported barrel and a more aggressive grip texture. 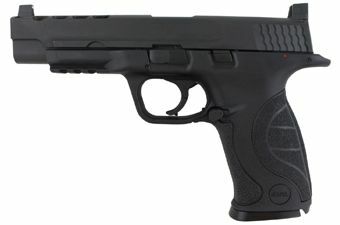 Not only does it look just like the real thing, this gun feels and fires like a real Smith & Wesson with its powerful blowback system. 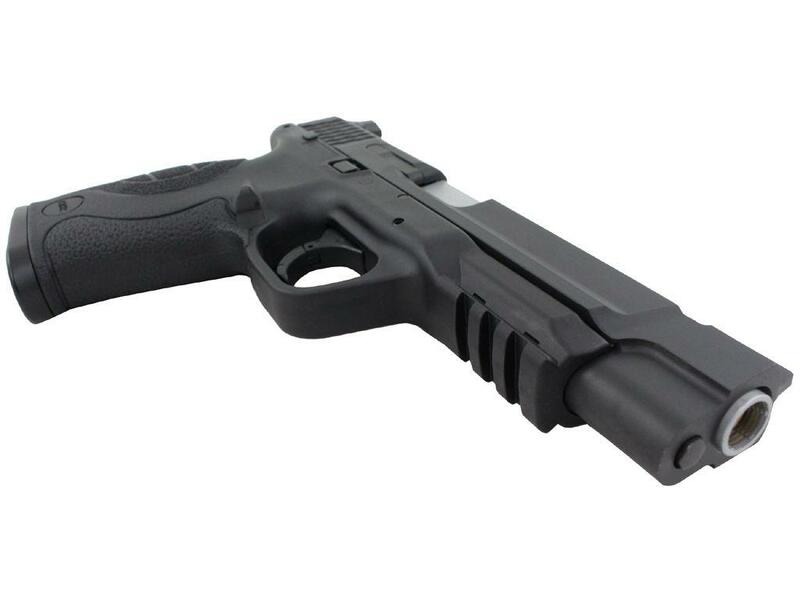 The adjustable white dot sights, interchangeable palmswell segments, and tactical accessory rail allow you to customize your pistol setup anyway you like.